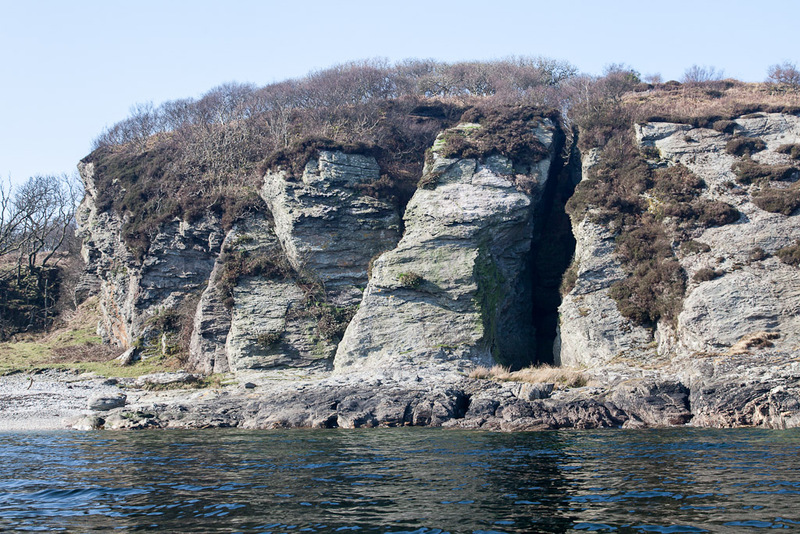 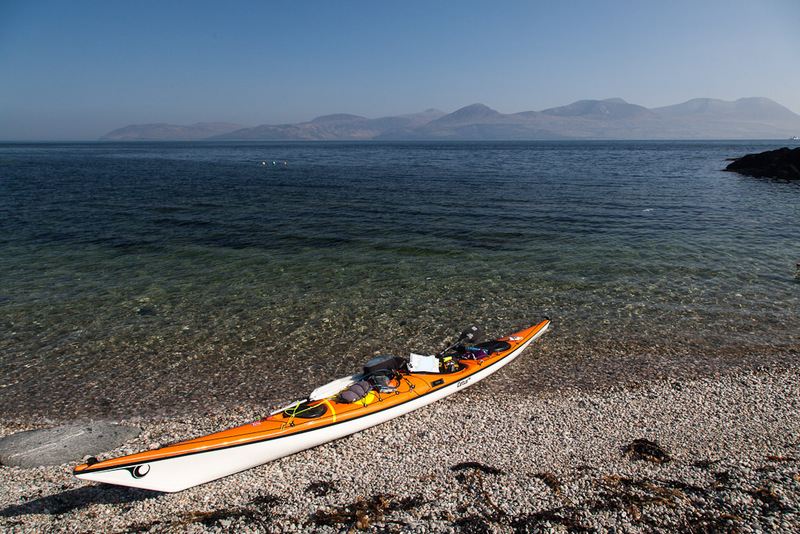 A Kintyre sojourn at Uamh nan Calman and Ravens Bay. South of Eascairt Point on the Kilbrannan Sound, we passed a low line of cliffs and came to a dry sea stack at the mouth of a great cave called Uamh nan Calman or Dove Cave. 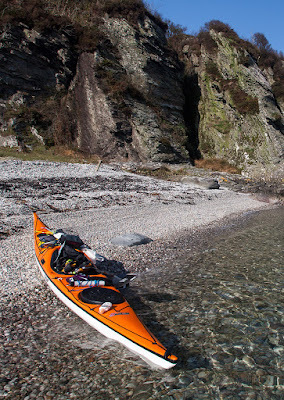 ...there was a delightful pebble beach called Ravens Bay. 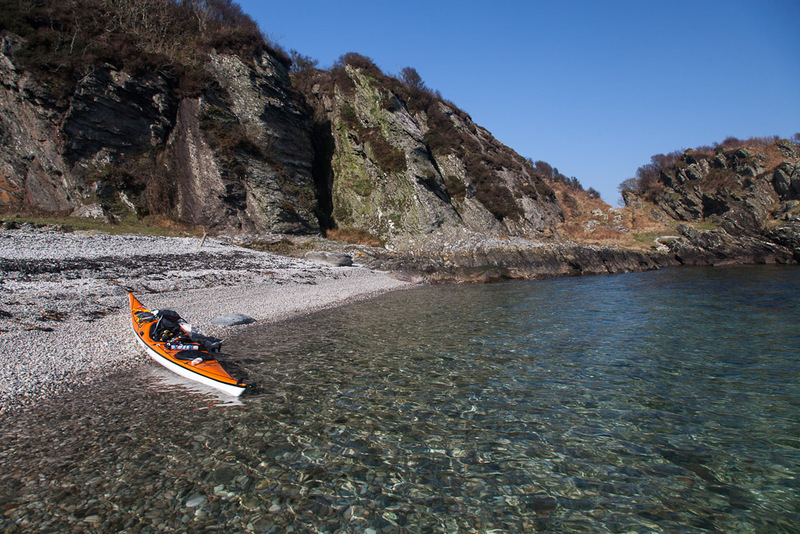 Its waters were crystal clear and as the beach had such a marvellous view of Arran, it was undoubtedly a suitable venue to partake of our third luncheon of the day.